On this page you will setup how the election is controlled. The title of the election will be seen by students. Try to keep it shorter than 25 characters as it will appear better on mobile devices. 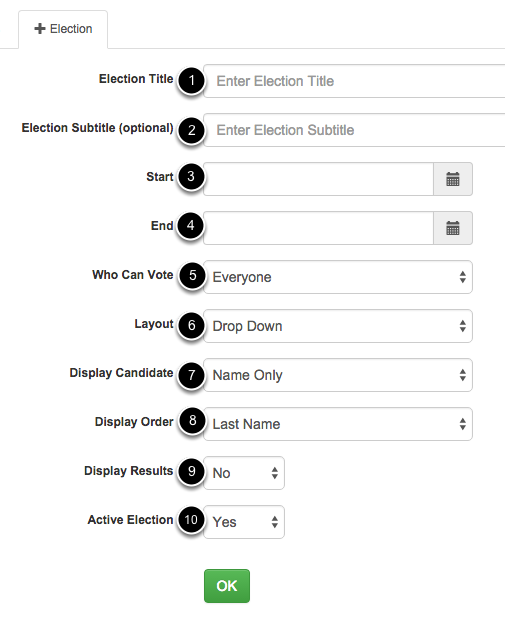 Subtitle is a place where you can give your students specific instructions about the election. This field is optional. 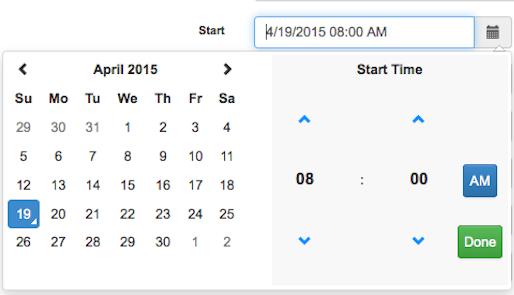 Choose the start date and time for your election. When a user logs in, if there is an election in the future, it will display as the next available election. Choose an end date and time for your election. 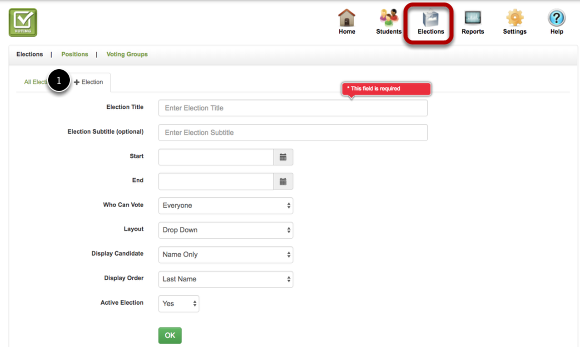 There are 4 different layout options for elections. Display Candidate will allow you to choose what student information is displayed to your voters. For example, if you are not writing candidate Biographies but do not have student pictures, you can choose the option "Name and Biography"
Display Order will determine the sort order for your candidates. If you want to share out the results of an election, select Yes for display results. Inactive Elections will not be shown to students or on any report. You can view inactive elections by clicking View Inactive Elections at the top right corner of the screen below the help menu. When setting the Start and End of the election, the left side of the picker you will set the date the right side you will set the time. In the System Values section under Settings, you can set a default Start and End time if all your elections typically have the same start and end time.